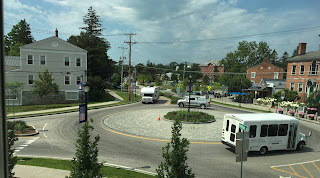 A Roundabout is NOT a "Traffic Circle" or "Rotary" or the Winooski Ovalabout! Pine Street Coalition proposes roundabouts--not traffic circles (they are large, like the Winooski "traffic circulator" and "rotary" is just another word for "traffic circle"). Roundabouts compared to traffic circles are very small and force vehicles to slow at entry by a curved "splitter island" which stomps down speeds and the tight circular travelway maintains the low speed pressure on the driver. 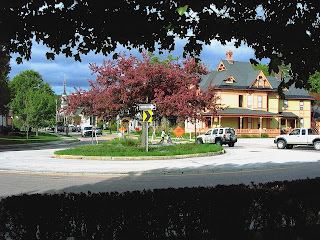 https://search.yahoo.com/search?p=roundabout+photos&ei=UTF-8&type=default&fr=yset_ff_syc_oracle Pedestrian use crosswalks 25 feet away from the circular travelway and cross one direction of traffic at a time using the median refuge area. No pedestrian has yet been killed at the 5,000+ roundabouts in the U.S. and Canada! During the same period since 1990 and the first roundabout two pedestrians were killed in crashes at the Burlington 75 traffic signals. Roundabouts cut serious and fatal injuries at intersections by about 90% (Insurance Institute for Highway Safety research). The Queen City Roundabout would be about 170 feet in diameter at the bottom of Pine Street. A mini roundabout at Pine/Flynn would fit in current curbs and have a circular mountable center "speed hump" center to larger vehicles could turn. Our first roundabout at the Shelburne "rotary"will be about 120 feet in diameter and you could fit 3+ of them inside the 200 by 500 foot Winooski traffic circulator which is about the size of Thunder Road in Barre. Also examples in the AARP Pine Street Workshop report. AARP, Geico, AAA and Insurance Institute for Highway Safety all advocate replacing traffic signals with roundabouts and only roundabouts for new intersection investments. A Pine Street Coalition (PSC) delegation met with Senate President Pro Tem Tim Ashe after the Legislature adjourned in June. Discussion reviewed the PSC Parkway Re-Design Guidelines for cost savings (less tax money), lower global warming emissions, complete earlier by avoiding legal actions, reduced delay for neighborhood traffic and improving safety for the neighborhood rather then generating more injuries. Again four principles--cheaper, cleaner, quicker, and much safer. Asked by Sen. Ashe wouldn't the Parkway current design going ahead be an improvement over what is there? The response was a strong "no." 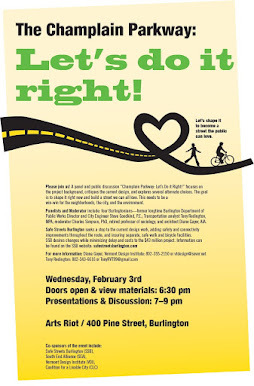 The current design lacks satisfactory, safe, walk and bike facilities (detailed by communications of the Burlington Walk Bike Council); there would be increased injuries to residents and visitors alike; increased global warming emissions and gasoline waste rather than reductions; taking away six valuable acres for protection of the Englesby Brook and for economic development--the list of damage to the South End from the current Parkway design goes on and on. The PSC has engaged Middlebury Attorney Cindy Ellen Hill. Attorney Hill not only has considerable environmental law experience at the State (including Act 250) and federal level (National Environmental Policy Act [NEPA]) but has first hand experience at the municipal level as a Middlebury Selectboard member. Attorney Hill knows the South End well. She has taught now for some time as a Professor at Champlain College with courses at the Miller Center on Lakeside Avenue adjacent to the Parkway right-of-way. 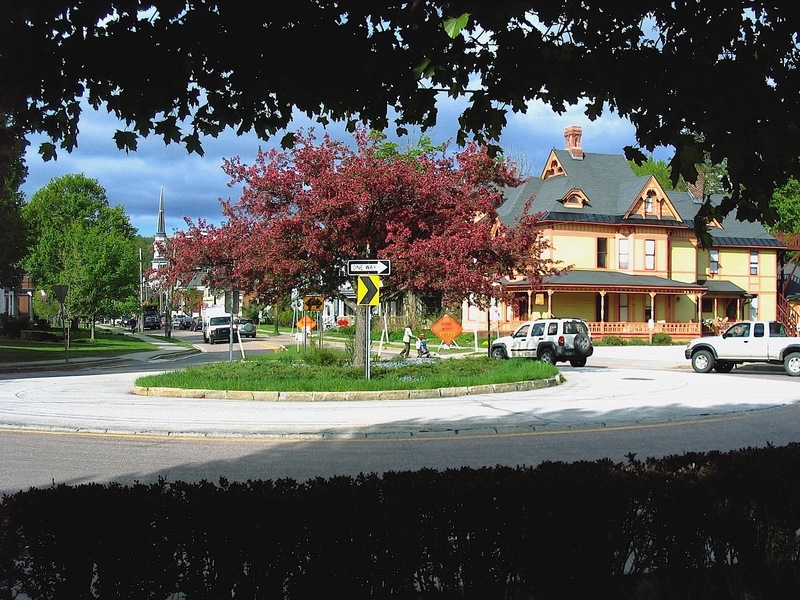 Attorney Hill will assist the PSC in seeking a new planning process which can be expected to respond to the Parkway Re-design Guidelines developed at the grassroots level here in the South End.